Banner's got a brand-new ride! As seen in Avengers: Infinity War. 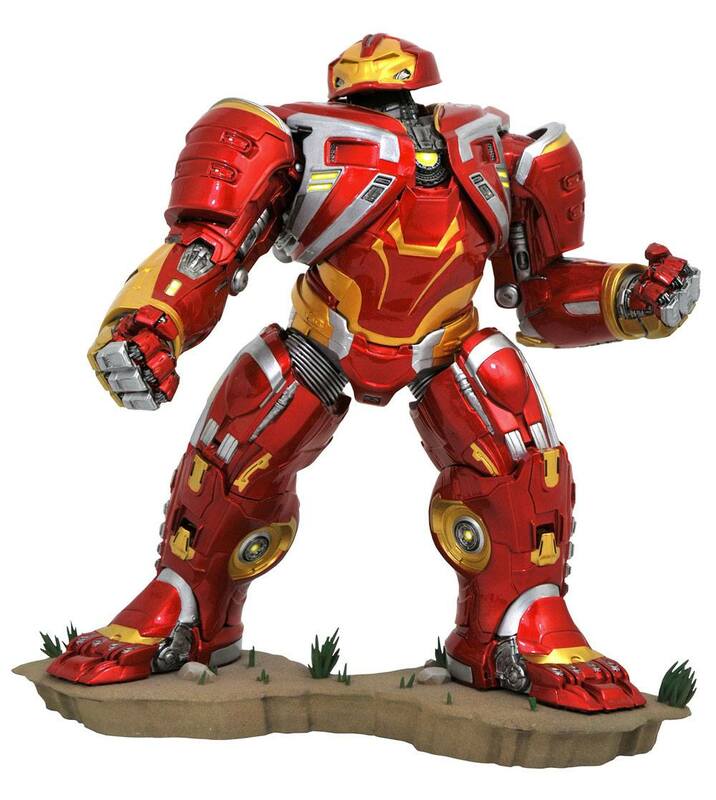 the Iron Man Hulkbuster MK2 armor plays a major role in the final battle against the armies of Thanos. Now. you can own your own Hulkbuster. as part of the Marvel Gallery line of PVC Dioramas! Standing approximately 25 cm tall. this sculpture is cast in high-grade plastic with detailed sculpting and paint applications. Sculpted by Gentle Giant Studios from a design by Joe Allard. Packaged in a full-color window box.